We are offering of AC Diesel Transfer Pump. Combustion & control systems, Mumbai offering Suntec Diesel burner pumps. 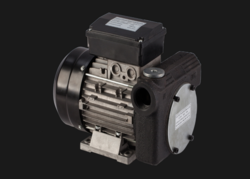 We import and supply Suntec burner pumps for Ecoflam Burners, Riello Burners, Bentone Burners, Weishaupt Burners, Fbr Burners, Uniga Burners, Lamborgini Burners, Etc.. Available in sizes from 1" upto 6" Suction & Discharge having Flow-Rates from 50 Ltr/min (LPM) upto 3000 Ltr/min (LPM) at 1500 RPM. They are offerred in sturdy construction with Liquid-Specific constructional needs to cater efficient pumping of Various Types of Fuel Oils such as Diesel / HSD / LDO / Kerosene etc. The 12 V battery operated Diesel Transfer Pump from Groz is an easy-to-use, world class diesel transfer pump, specially designed for earthmoving equipment, tractors, road construction machinery, generators and many more applications. We are a trustworthy Water Cooled Pump Sets Manufacturer, Exporter and Suppliers. Our Water Cooled Diesel Pump Sets have different fuel capacities. They are based upon one of the effective mechanisms. The cooling system of our Diesel Engine Pump Sets is completely based on air which adds to its reliability. It comes in two starting options i.e. hand starting & self starting. We are the leading manufacture and supplier of direct coupling diesel pump set . We are acknowledged as one of eminent Diesel Engine Pump Set Manufacturers, Exporters, and Suppliers in India. Our Diesel Engine Pump Set is fabricated from superior quality that offers high strength to the structure. The Portable Water Pump Set offered by us is widely demanded owing to its superior quality. Multiflo is the market leader for high quality mine dewatering pump units, leading with the heavy duty ‘MF’ range of auto vacuum primed, diesel driven pump units. The Multiflo® MF pump units are custom-built to ensure the very best performance for your operation and survival under the toughest of operating conditions. Medium: Gasoline, Diesel, Kerosene Etc. For small farmers in developing countries, wanting to grow a crop through irrigation in the dry season, two options are open for pumping the water: manual or motorized. For manual pumping the treadle pump is very suitable, for motorized pumping, diesel or petrol engine pump-sets are widely used.